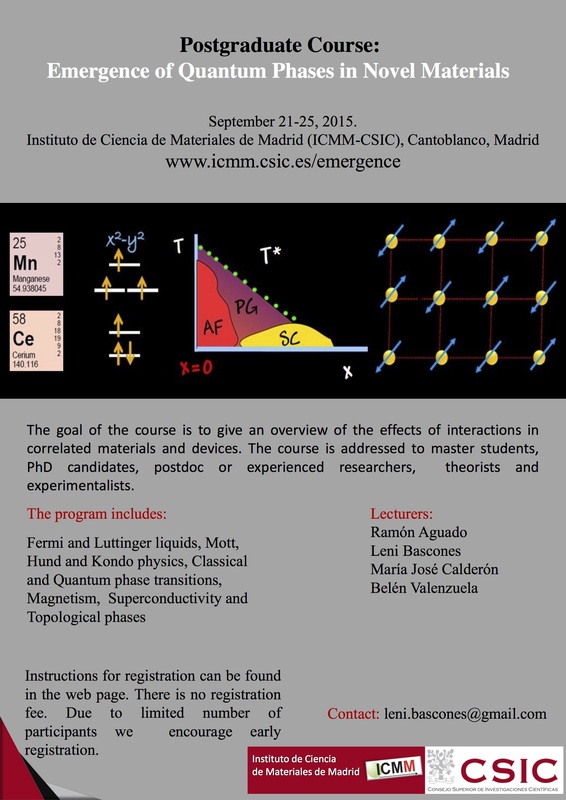 The third edition of the Course “Emergence of Quantum Phases in Novel Materials” will take place from 21 to 25 September 2015 at the Instituto de Ciencia de Materiales de Madrid (ICMM-CSIC), Campus Cantoblanco, Madrid. The goal of the course is to give an overview of the most relevant phenomena associated to the electronic interactions (Mott localization, Kondo effect, phase transitions, magnetism, superconductivity) and to the topological properties of novel materials (topological insulators and superconductors). Language of the Course will be English. 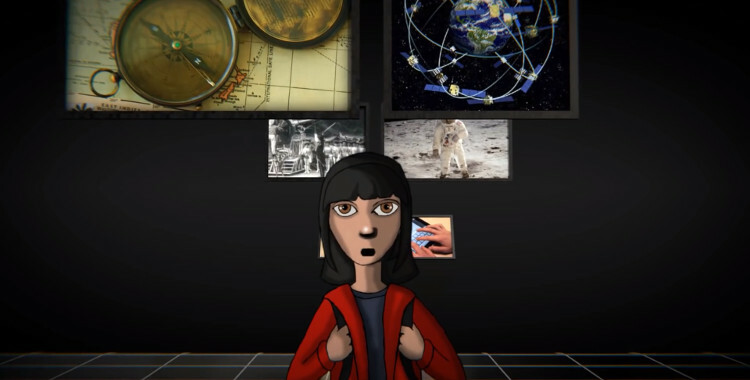 The course will be given by Ramón Aguado, María José Calderón, Belén Valenzuela and Leni Bascones. The course is addressed to master students, PhD candidates, postdoc and experienced researchers, both experimentalists and theorists. The detailed program can be found in the web page together with the slides of last year lectures. The duration of the course is approximately 25 hours. To facilitate attendance to people who do not live in Madrid we have arranged all the talks in a single week. Registration is open now. There is no registration fee. We encourage early registration due to limited number of attendants. Information for registration can be found in the web page.